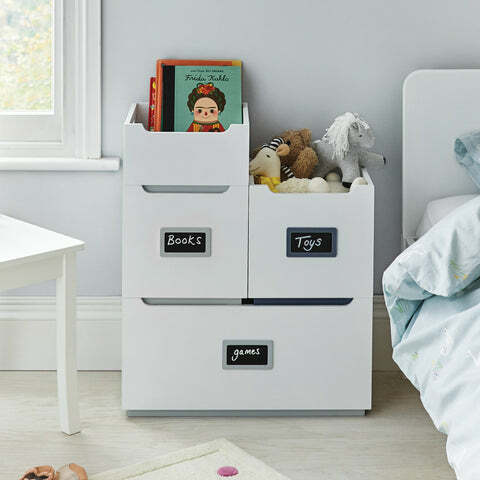 Barbican Toy Storage Box, Navy | Great Little Trading Co.
With its clean lines and nautical colour scheme this stacking toy box will soon have everything in good order; mix and match with our Large Barbican Storage and Barbican Storage Tray to create the storage that's right for your child. Furniture needs to be sturdy and safe with children around. That's why we've designed and produced this range from top quality materials and then rigorously tested it for use around children. For safety reasons please stack no higher than two of the toy storage units (plus tray). 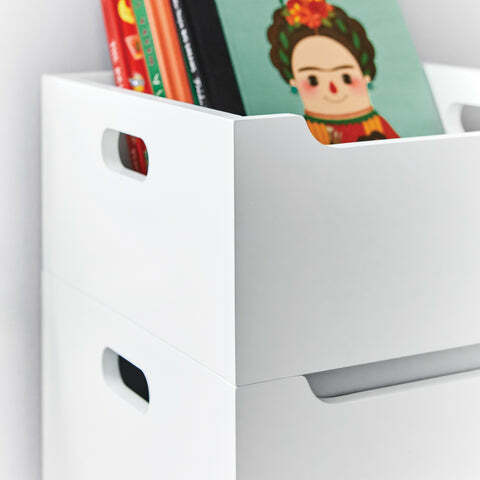 Includes cut out handles for easy lifting and moving. 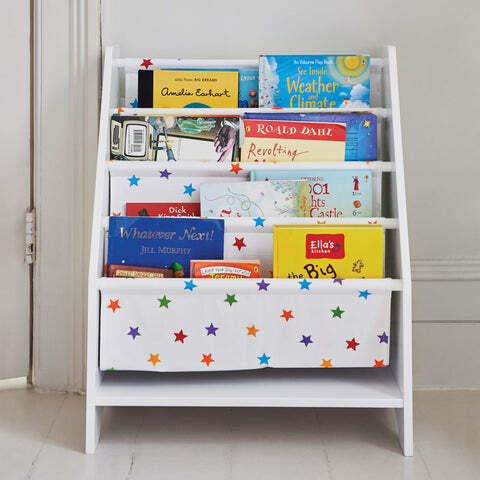 Help your children learn to love reading by storing books neatly and with the covers facing forward - that way their favourites are always easy to find; take your pick from our range of Children's Bookcases.